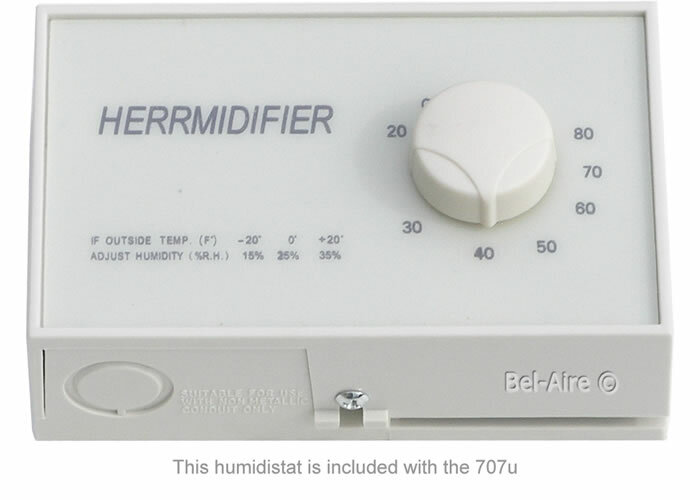 Trion 926 Humidistat Humidity Control 24vac or 120vac. Also know as 352680-002C. Used in the model 50, CB777, 707u, 707sm, 707tw, 707 or general humidifier application. Same as 826 humidistat. Range is 35 to 50% with a 3% differential. We measured the height at 5-1/8 and a width of 3¼ while 3¾" deep (not including the knob). Range is 0 to 80% RH with a 4% differential. Horizontall style and duct mount isntallation. Operates with line voltage or low voltage. Two wires exit the back of the humidistat for the switch.